Summer Sandals up to 75% off! Still looking for that “just right” pair of sandals? Check out the HUNDREDS of sandals for up to 75% off at 6pm! I’ve been looking for a wedge that is almost like the one above that I had years ago. They were my absolute favorite sandals ever – and I wore them until they literally died and fell apart! I’m not waiting or looking any longer – because I think I love these even more! They normally retail for $62.00, but I am grabbing them for ONLY $27.60! 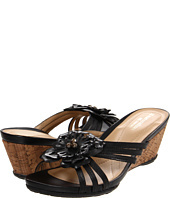 You will find designer womens, mens, and childrens sandals – ALL at rock-bottom prices!